The Wild Table panel discussion took place during the Smithsonian Institution’s Earth Optimism Summit in Washington, D.C. and featured four speakers who emphasized the importance of biodiversity conservation across development sectors. 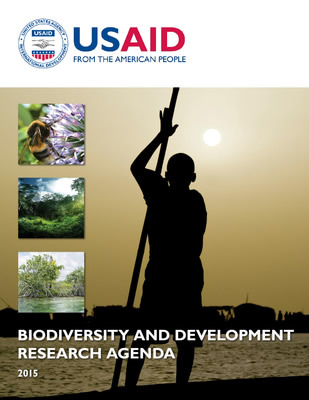 USAID’s Biodiversity Results and Integrated Development Gains Enhanced (BRIDGE) project supported the panel, which showcased innovative approaches and successes in integrating biodiversity conservation and food security. Simran Sethi, journalist, author and educator, began the discussion with a look at one of her favorite foods: chocolate. During research for her book, Bread, Wine, Chocolate: The Slow Loss of Foods We Love, Sethi learned that all foods reflect the taste of place. “That reflection of taste of place is a reflection of the biodiversity in areas where food is grown,” she said, emphasizing that we can save foods by savoring them. Terry Sunderland, principal scientist at the Center for International Forestry Research (CIFOR), focused on the interactions between forests and the people and animals that depend on them. 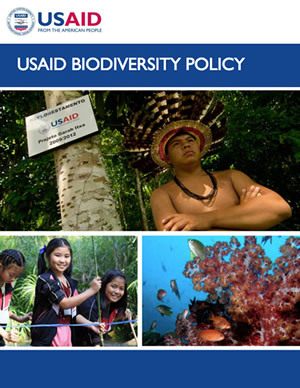 To better understand this connection, he and his team from CIFOR turned to USAID’s Demographic and Health Surveys Program’s data to compare dietary diversity under different levels of tree cover. “We found a very positive correlation between tree cover and diets. The closer people are to forests and tree formations, the better their diets. This is pretty powerful stuff,” he said. Kelsey Evezich, an undergraduate student at Duke University in North Carolina, presented a research project undertaken by Duke’s Conservation Technology Club, a diverse group of students from different academic backgrounds. The club took on the task of creating a low-cost, light-emitting diode (LED) that can be attached to gill fishing nets to prevent inadvertent sea turtle bycatch. “The takeaway message of this activity is not just the creation of this device, but the success of interdisciplinary collaboration and conversations. This type of cross-pollination of ideas is the key to future success and conservation,” she said. Nygiel Armada, chief of party for the USAID Philippines-based ECOFISH Project, discussed how fisheries management can improve both food security and biodiversity. He gave several examples of how evidence can be used to encourage communities to increase sustainability. According to Armada, the bottom line is that we use science to inform partners of how to move fisheries management in the right direction. 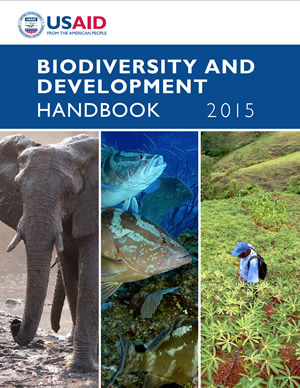 The presenters agreed that conversations across development sectors and disciplines are essential to finding solutions to biodiversity conservation. The Wild Table panel recording is available.